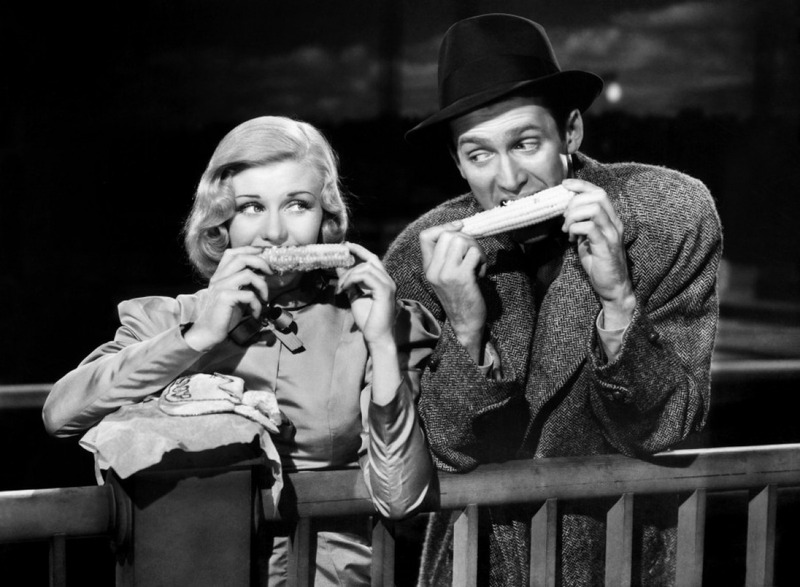 This entry was posted in Uncategorized and tagged ann harding, beulah bondi, charles coburn, deanna durbin, edmund gwenn, ginger rogers, james stewart, jean arthur, jeanne crain, william holden, william powell. Bookmark the permalink. MC, wanted you to know how much I enjoyed your post, for many reasons. Like you, I’m trying to make more of a dent in the movies I have on hand! This sounds so very familiar, LOL. And like you, I track them in Excel — my dad and I actually keep a joint inventory, with a page for each of us, and we send it back and forth as we update it. We use it to track lending each other movies, too. The first three titles you wrote about were all favorites of mine and I’m so glad you enjoyed them and wrote about them! It’s a shame the release of APARTMENT FOR PEGGY was so poor. As my dad (who also enjoyed your post) pointed out, Fox certainly knows how to do DVD releases right when they want to, so it’s a shame they’re not bothering with these Archives releases. I have a Fox Movie Channel recording and I guess I’ll just keep rewatching that if they don’t do a better release! I love ORCHESTRA WIVES. So much great music. My favorite scene is “At Last” but there are so many great moments. SUN VALLEY SERENADE is another favorite. These are true “feel good” films. And FIRST LOVE! I think that was my first Deanna film. I’m so glad you will have the experience of discovering her! In addition to IT STARTED WITH EVE, my favorite Deanna films include HIS BUTLER’S SISTER (frustratingly only on DVD in the UK — I bought it from Amazon on VHS! ), LADY ON A TRAIN, THE AMAZING MRS. HOLLIDAY, and CAN’T HELP SINGING. There are only three Deanna movies still ahead of me to watch for the first time. It may sound crazy but I’ve been delaying as I’ll be sad when I run out of “new” Durbin titles! Though I’ve already rewatched some of them two and three times. LOL. She was truly a unique screen persona, not quite like anyone else ever. Enjoy! I hope you’ll share more of your thoughts as you continue to explore her movies. Hi Laura! I really couldn’t keep track of my movies without the spreadsheet. When I first started it about 3 years ago, I probably had 250-300 movies. Now, thanks to recording a ton of things with my DVD recorder I have over 900, and my collection continues to grow. Crazy! It’s nice to have so many movies to choose from, though. I remember you recommending APARTMENT FOR PEGGY at some point, which is why I wanted to see it. It’s a wonderful movie – I really enjoyed it, in spite of the lousy Fox MOD DVD. Honestly though, the quality was bad. I had to adjust the brightness settings on my TV for some scenes that were really dark, there were strange horizontal lines on the picture the whole time, like there used to be on bad VHS recordings, and the sound had sort of a hiss in the background. It’s too bad Fox doesn’t take the care with their MOD selections that Warner Archive does with theirs. ORCHESTRA WIVES is such a cute movie. I got a kick out of realizing that the blonde girl singer who sang “People Like You and Me” and “I’ve Got a Gal in Kalamazoo,” and who reminded me so much of Betty Hutton, was her sister Marion! I was pleasantly surprised when I saw Deanna Durbin in IT STARTED WITH EVE. I guess I’d expected someone sugary sweet in a movie that was all fluff, but it wasn’t that at all. In fact I was pretty instantly smitten with how smart, sassy, funny, and touching her performance was and with how well-written the movie itself was. FIRST LOVE was wonderful, too. 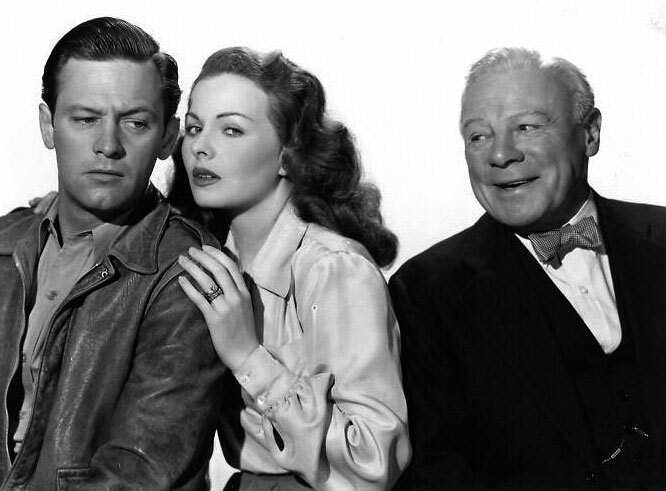 I bought the Sweetheart Pack that contains THREE SMART GIRLS, SOMETHING IN THE WIND, FIRST LOVE, IT STARTED WITH EVE, CAN’T HELP SINGING, and LADY ON A TRAIN as well as a few TCM releases — THREE SMART GIRLS GROW UP, FOR THE LOVE OF MARY, and BECAUSE OF HIM. I can’t wait to see more of her films. I can understand why you’d want to hold back on a few and still have them to look forward to! Thanks so much for the nice comments, Laura! Hi again Melissa! Fun to hear more of your thoughts on all of the above. You’re right, Deanna Durbin is not quite what one expects! Her persona is really unusual — serene and confident yet also very funny. She was obviously a very smart woman and that comes through on screen. She can also be a real pill in some of her films, but you love her anyway just because she’s Deanna. You have some terrific viewing ahead of you. (There’s a catchy song in SOMETHING IN THE WIND I couldn’t get out of my head for days, LOL.) Some of Deanna’s best films, like IT STARTED WITH EVE and FIRST LOVE, are really well-written comedies which just happen to have music. LADY ON A TRAIN is a really unique one — comedy, music, and Nancy Drew-ish noir all rolled up in one package, plus it’s set at Christmas! That PEGGY DVD sounds ghastly! I didn’t order it immediately after having heard some iffy things about it, and after reading your additional comments I’m really glad I didn’t spend the money on it. That’s just a shame. Double Harness is aces, glad you liked it! It’s such an intelligent, entertaining movie. I liked it a lot! I need to do this with my movie book library! I just put all my titles in a spreadsheet and realized I hadn’t read half of them. First Love is such a charming movie. I thought it had a pretty sharp script, not as sugary as you’d expect. “First Love” was so enjoyable. I watched another Deanna Durbin movie, “Because of Him,” this weekend. I hope to write about it here soon. Thanks for stopping by, KC! Just saw your post and had to add my 2 cents. 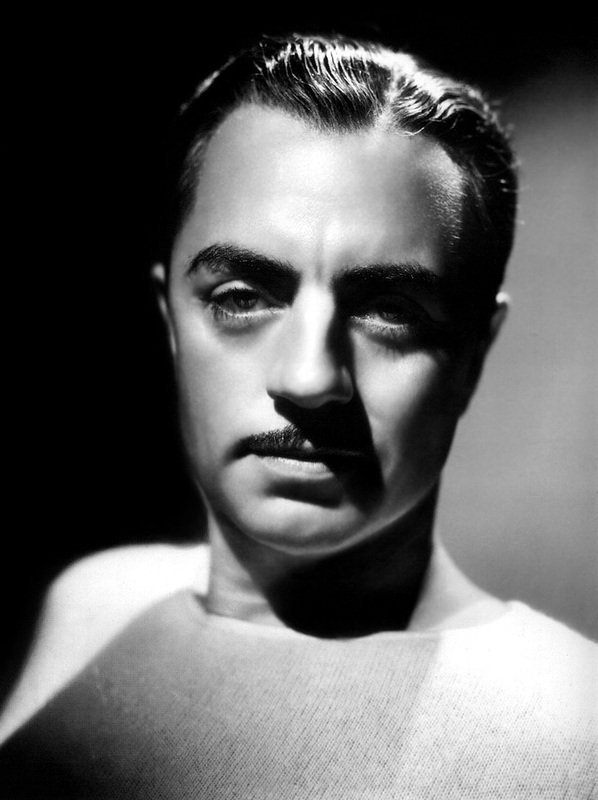 Here, a year and a half later I am having my own William Powell infatuation. I’ve seen quite a few of his movies and love them all. The ones you discussed are all good. Double harness was particularly good. I don’t know what it is about him, but he seemed like a fascinating person.